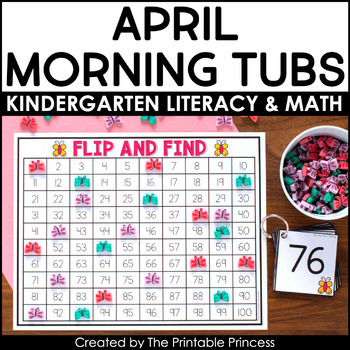 Spring Literacy and Math Activities | Great for Morning Tubs! 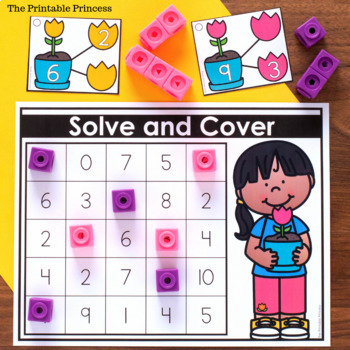 This resource includes 21 literacy and math activities with an adorable spring theme. The skills included in this resource are ones that your Kindergarteners are probably working on during the month of March, April, and May. It is packed full of games and interactive, hands-on activities to keep students engaged and learning all season long. They are easy to prep – most are just print and go. They use basic classroom supplies such as plastic cubes, mini erasers, play dough, dot cubes, and spinners. Most activities include more than one version allowing you to differentiate for your students. Each activity includes teacher friendly directions as well as an “I Can” visual directions page to promote independence. They do not include recording sheets which makes them ideal for morning tubs and early finisher activities. But you can certainly use them for math and literacy centers too. This file includes editable pages for the sight word activity. This will allow you to add your own sight words and personalize the covers. Please note that you will need to open the file in Adobe to edit. You will be unable to edit when viewing the file in your web browser. 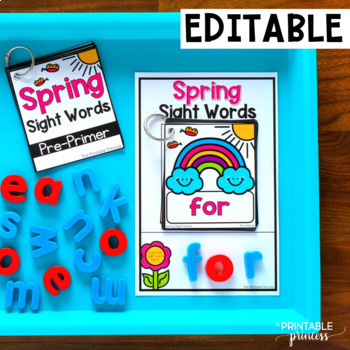 Spring Sight Words: Students will select a sight word card and place it on the mat. They will build the word using a dry erase marker or magnetic letters. 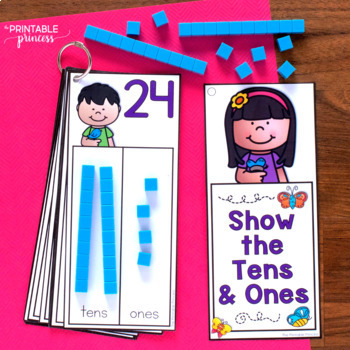 This activity is editable so you can add your own sight words. Dough Creations: Students will use play dough to make snakes to form the dough gingerbread theme pictures. Solve and Cover: Students will solve to determine the number that is missing on the card. They will find the missing number on the ”Solve and Cover” mat and cover the number.